Everyone has one common thing in mind while buying a tablet and that is their new tablet should be enough powerful and capable to do their daily works and should be enough portable to carry everywhere and work with. Putting that into consideration, we decided to compile a list of some of the most powerful 10-inch tablets from the market which can provide the best tablet experience to the users. While, iPads have been leading the tablet market with its power-packed hardware and versatile design since very long, followed by Samsung, Lenovo, Asus, Fire and hundreds of manufacturers and picking out the best from a lot is probably not an easy task. So, in order to help you out, our team of tablet professionals has tested and handpicked some of the best 10-inch tablets from the market. 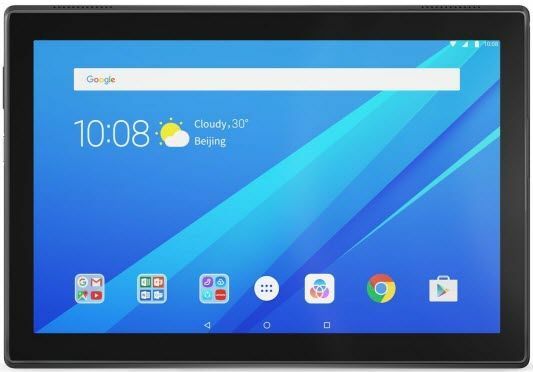 Over the past couple of weeks, we have been talking about the cheap tablet buying guides, this deals basically with high-end and powerful tablets. So, what are the best 10-inch tablets available to buy in the market? Let’s find them out! The 10-inch Apple iPad Pro is one of the best tablets ever made. That said, the tablet is not just a beautifully crafted to perfection device, but is also an equally powerful device. 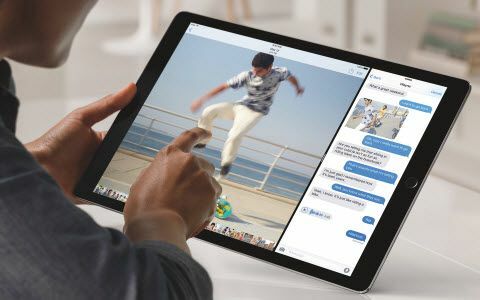 The newest iPad Pro sports a 10.5-inch Retina Display and comes with a resolution of 2224 x 1668 pixels. The display on the iPad Pro comes with a Wide Color and True Tone Display technology to deliver true-to-life viewing angles. Under the hood, the iPad Pro is powered by an Apple A10X Fusion chip with 64‑bit architecture which is incredibly powerful. It comes with a 4GB of RAM for multitasking and comes with 64GB / 256GB internal storage to store your favorite apps and games. On the software front, the iPad Pro runs on iOS 11, which is highly optimized to deliver maximum productivity. The new Dock feature on iOS 11 enables its users to reach apps seamlessly from any screen with just a swipe to do multi-task. The tablet can also be used as a mainstream imaging device as it comes with a 12 MP Primary iSight camera, which can capture detailed images. Finally, the iPad Pro can stay juiced up for up to 10 hours of continuous usage, which is rather exceptional. The iPad Pro 10.5 is probably one of the most capable tablets out there and that’s why it tops our list of best 10-inch tablets. The Samsung Galaxy Tab S4 is the newest yet most powerful contender in the lineup of Galaxy Tab series. The previous generation Galaxy Tab S3 was launched with 9.7″ screen size, however this time we have a slightly bigger 10.5″ size which is the industry standard for high-end tablets. Talking about the design, this time we have the same glass slim metal design from the Tab S3 which feels really very premium and solid to hold. The weight is around 0.95 pounds which is closer to the iPad Pro 10.5″, making it very easy to carry around in a backpack. The display is remarkably improved over the previous generations and it works on the HDR technology, a first in tablets which delivers cinematic vividness, details and deep contrast to the screen. Speaking about the innards, the Galaxy Tab S4 is equipped with an Octa-Core Snapdragon 835 Chipset and 4GB of RAM which together promises overall seamless user interface. Working on two apps side-by-side is smoother than ever on the Galaxy Tab S3, thanks to the Android 7.0 Nougat. For gaming, we have an integrated Adreno 540 GPU which boosts the overall gaming performance of the tablet and can run all the latest games at high settings with ease. The S-Pen which comes included within the package has pressure and tilt sensitivity which drives a paper-like feel to draw on the tablet, and just like a real pen it never needs to be charged. 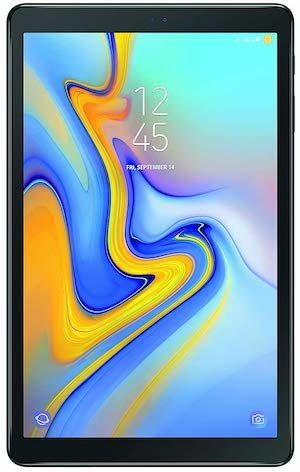 All in all, the Samsung Galaxy Tab S4 is one of the best 10-inch tablets to buy in the market. 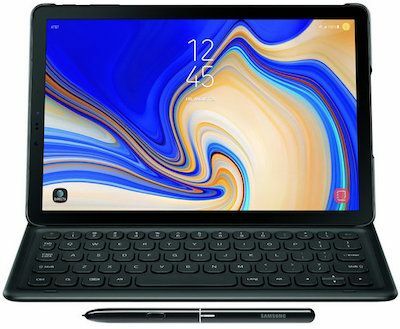 Note that the keyboard doesn’t come within the package, you’ll have to spend an additional $100 for the Samsung Galaxy Tab S4 Keyboard Cover. 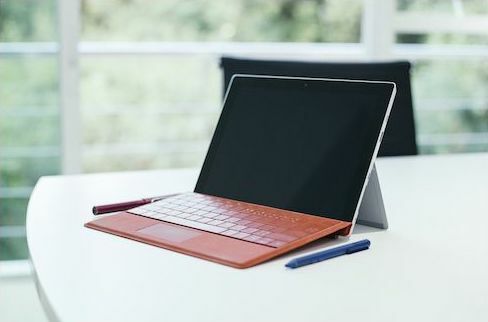 Microsoft Surface Go is a surprisingly thin, versatile, and an equally powerful device by all means. Attach the device to a keyboard and use it as a laptop, or detach the same to use it as a tablet. All in all the Surface Go is one of the most ergonomic and versatile tablets in the segment. The tablet comes with a sharp 10-inch PixelSense™ display with a resolution of 1800 x 1200 pixels and the display on this device offers surprisingly sharp and very good viewing angles. Under the hood, the tablet runs on a powerful Intel Pentium Gold Processor paired with 8GB of RAM for quicker multitasking. On the storage front, it is backed by a 128GB SSD, which is fast, reliable, and efficient for faster file access. The Surface Pro Go runs on Windows 10 Home out of the box and comes with a long list of the useful and productive application suite. The tablet comes with an 8-MP primary rear-facing camera, which can capture detailed images. The device is highly customizable and can be completely turned in accordance with the user’s choice. 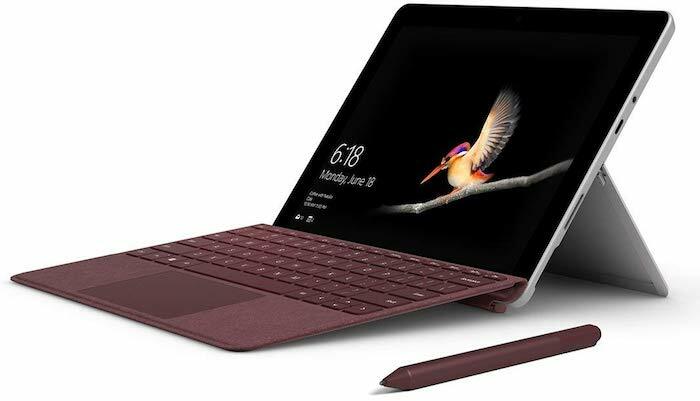 We highly recommend you to go with the Microsoft Surface Go as it is built to deliver best portability and productivity, making it one of the best large tablets for all type of works in our list of best 10-inch tablets. Apple iPads are doing a remarkable job in the tablet segments just like the other segments. The Latest Apple iPad 2018 is a large screen offering from Apple which ships with a large display and powerful specs at affordable costs. Speaking about the exterior of the tablet, it comes with a decent rubbed metal finish and looks very premium by every bit. 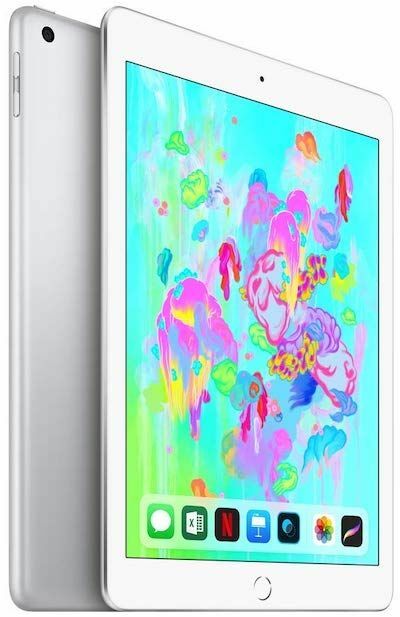 Speaking about the specifications of this 9.7-inch iPad, under the hood, the iPad 2018 Model is powered by an A9 chip with 64‑bit architecture and M9 motion coprocessor paired with a 2GB of RAM. It sports a 9.7-inch LED-backlit widescreen Multi-Touch display with IPS technology and comes with a resolution of 2048×1536-pixel resolution. Storage on the tablet is backed by a 32GB / 128GB storage, which should suffice most of the everyday users. The tablet comes with a long list of connectivity options and runs on iOS 11. The entire tablet can stay juiced for slightly over 10 hours of continuous usage, which is rather phenomenal and that’s why this iPad is worth listing in our list of best 10-inch tablets. The 10-inch Samsung Galaxy Tab A is perfect all-purpose tablet falling under the price range of $350. The remarkable feature of this tablet is that it comes with Samsung Kids Subscription which gives access to thousands of apps, games and books to help them learn in their own way. As a parent, you can also block some apps that might not be good for your child and you can also set a time limit in which they can use the tablet. It has 10.5 inch IPS Display on the front which is considered as the brightest display so far. Under the hood, the performance is powered by Snapdragon 450 Octa-Core Chipset and tuned with 3 GB RAM for multitasking and efficient working. The 8MP camera on the back takes some pretty realistic shots and can also record videos at 1080p Full HD, and its front 5MP camera is perfect for selfies and video-calling. This 10-inch Samsung tablet runs on the Android 8.1 Oreo out of the box and Samsung has also confirmed to roll out Android 9.0 Pie update very soon on this tablet. All in all, the Samsung Galaxy Tab A is the perfect 10-inch tablet for budget buyers who are looking for a good tablet at reasonable price of $300. The 10-inch Lenovo Tab 4 is one of the Lenovo’s latest and unarguably one of the most powerful and well-built budget-oriented tablet. The tablet comes with a sleek and stylish plastic gun-metal chassis and gives all the premium feel one would ever expect from a tablet. The tablet sports a 10.1-inch IPS display with a resolution of 1280 x 800 pixels. The tablet is great for viewing movies and also provides the right color gamut. Under the hood, the Lenovo Tab 4 is powered by a Quad-Core Snapdragon 425 Chipset paired with Adreno 305 GPU for graphics. Storage on the tablet is 16GB which is quite low, however, which can be expanded up to 256GB via a MicroSD card. Moreover, the Lenovo Tab 4 runs on the Android 7.1 Nougat and is already in the queue to receive the latest Android 8.0 Oreo update. As far as battery life is concerned, the Lenovo Tab 4 can deliver screen-on-time up to 8 hours on a single charge which is good for a tablet at this price range. All in all, the Lenovo Tab 4 is undoubtedly one of the best budget oriented tablets in our list of best 10-inch tablets. There is also another variant Lenovo Tab 4 Plus which packs 2X specifications underneath than the base 10-inch variant, a Quad-Core Snapdragon 625 chipset, 2GB RAM, sharper screen, better camera and longer battery life. Moreover, the Plus variant also has Cellular Connectivity which will enable you to access the internet when you’re away from your home or office. $570 $499 | Buy at Amazon*Save $150 on this deal! The ASUS ZenPad 3S is the latest offering from ASUS which has some pretty decent specifications for the price. Weighing less than a pound, the ASUS ZenPad 3S feels very light to carry around, its premium aluminum design with smooth anodized finish balances proper strength and sleekness of the tablet. 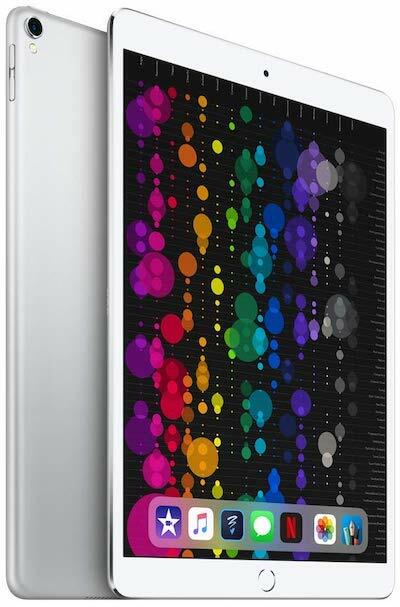 The design quite seems to be inspired from Samsung Galaxy Tab S series in our opinion. On the front, we have a Home Button which also doubles up as Fingerprint Sensor which lets you unlock your tablet seamlessly and even more securely. Moreover, you can also make payments through it. The two speakers at the bottom are powered by Sonic Master 3.0 Technology which delivers sharp audio with more effects and volume to the ears, making it suitable for watching movies without having to look at earphones. The gorgeous display of ZenPad 3S is complemented by thinnest bezels on a tablet according to ASUS. Its 2K display is lighted up with Visual Master Technology which delivers wide viewing angles and fine details, the color saturation is true-to-life and seems very real, unlike the over-saturated dramatic colors on Samsung tablets. Under the hood, the ASUS ZenPad 3S is powered by a Hexa-Core Mediatek MT8176 Chipset and 4GB RAM which together drives solid performance to blast through your productivity tasks. For gaming, we have a dedicated GPU PowerVR GX6250 which allows it to run all the latest games at high graphics settings. The ASUS ZenPad 3S runs on Android 7.0 Nougat with bloatware on the top it. Their bloatware seems very simple and organized which makes the ASUS ZenPad 3S very simple and easy to access. As far as battery life is concerned, it can easily deliver 8 hours of screen-on-time. Moreover, the USB Type-C adapter supports Quick Charge 3.0 Technology which boosts up charging speed. All in all, the ASUS ZenPad 3S is truly one of the best 10-inch tablets to buy right now in Android Segment. Amazon’s Fire series of tablets are one of the highest selling tablets across the globe. That said, the tablet is globally renowned for its enduring performance and reliability. 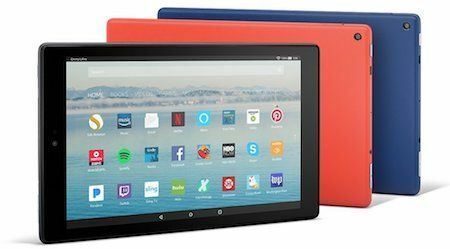 Our current contender, the Fire HD 10 2017 Model is one such tablet, which is priced very low at around $150 for the base model. The tablet is one of the largest and the thinnest from the Amazon’s lineup of tablets. It sports a 10-inch HD display, which is sharp, crisp, and bright. The tablet features an all-metal backing for a premium tablet experience. As far as the specs are concerned, it is powered by a 1.8GHz Quad-Core Processor paired with 2GB of RAM for multitasking. The tablet comes in various storage variants including 32GB and 64GB variants. 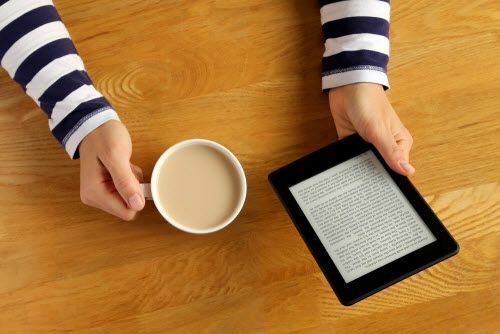 The tablet is primarily meant for entertainment and accordingly comes with Amazons E-Books access and also packs in some free stuff from the Prime Video. 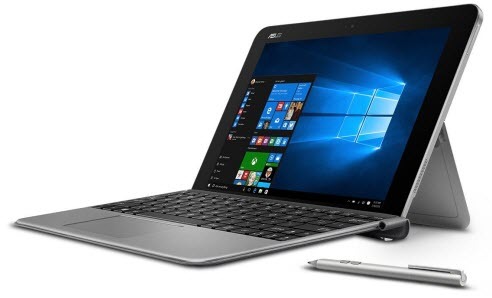 If you’re a businessman or student looking for a good device that falls between the category of tablet and laptop, then the ASUS Transformer Mini is the perfect device for your everyday requirements. It comes with 10.1″ IPS LCD panel on the front which delivers bright and accurate colors. You can convert this tablet into portable laptop by connecting the keyboard that comes within the package. It runs on Windows 10 which gives you access to all the Microsoft Office apps and all the other softwares you use on your main computer. You can also download games from the Windows store to kill time. The performance of this machine is powered by Intel Atom Quad Core x5-Z8350 Processor with 4GB RAM for multi-tasking and efficient working. The security of this machine is enhanced by a fingerprint sensor on the back through which you can also login to your device with just one touch. Students and businessmen should definitely grab this 10-inch tablet as its features are reckoning that it is the best tablet for the money. Buyers should note that the Keyboard and Pen comes included within the package. Samsung’s Galaxy series of tablets are known to be the best available standards when it comes to all-purpose powerful tablets. The company has now expanded the Galaxy series of tablets beyond tablets and have also stuffed powerful configuration to make their tablets even more capable. The Samsung Galaxy Book sports a 10.6-inch Full HD Touchscreen display with a resolution of 1920 x 1280 pixels. 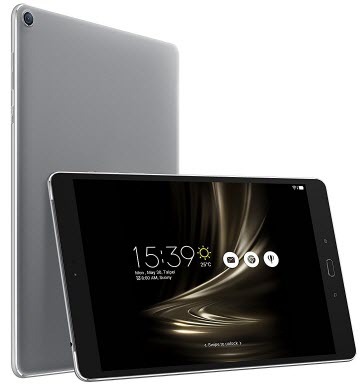 For the specifications, the tablet is powered by a 2.6 GHz Intel Core M Processor (also available with Intel i5 processor) and for multitasking, the device comes equipped with a 4GB of RAM, which together drives enough performance to carry out intensive tasks. For storage, the Galaxy Book comes in 3 different variants 64GB / 128GB / 256GB. Moreover, it also comes with a detachable keyboard and S-Pen to add-up more features to the tablet. For those who prefer a versatile machine which can be used as laptop as well as tablet, the Samsung Galaxy Book is surely best in the segment. The 10-inch Lenovo Yoga marks the new era in tablet segments, with its impeccable performance and sleek and stylish form-factor. 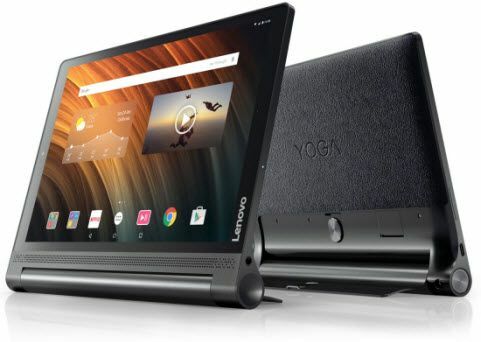 The Yoga 3 is the latest in the segment of Lenovo’s Yoga series of tablets and does offer competitive specifications and features for the asking price. The tablet comes with a big-screen 10.1-inch Full HD IPS display, which is crystal clear for entertainment purpose. One can always enjoy the large screen viewing experience without holding the tablet, as the stand which comes with it does the task. It can be placed in various angles in accordance with the usage and user’s choice. 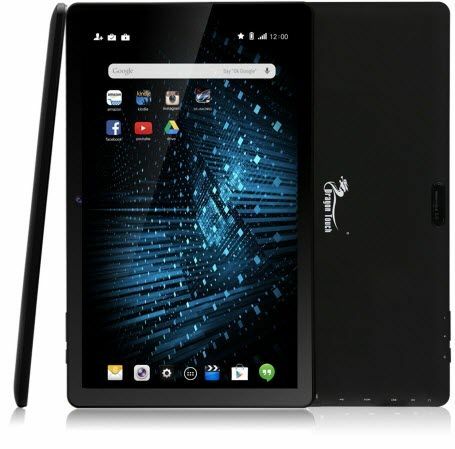 Specifications of the tablet include an Octa-Core 1.4GHz Qualcomm Snapdragon 625 chipset, 3GB of DDR3 RAM, a 32GB of flash memory, and an 8-megapixel rear snapper to capture images. There is a voice calling enabled variant of the same tablet which comes at a slightly higher price. The tablet is capable of staying juiced up for at least 8 hours of continuous usage and can be charged fully from 0 to 100 in around 2.5 hours. All in all, the Lenovo Yoga Tab 3 is our experts most recommended 10-inch tablet for budget buyers after the Samsung Galaxy Tab A. Although most of you might not have heard about the Dragon Touch brand, it is still a very worthy and power-packed device. The tablet sports a 10-inch IPS Display with a resolution of 1366×768 pixels so that users will never miss any detail. The tablet comes with an ample display size for getting the most of a 178-degree wide view angle. The tablet comes with 10 point multi-touch technology, which is very useful for gaming and multitasking. The tablet is powered by an Octa-Core 8X Cortex A7 processor clocked at 2.0 GHz. The processor is also aided with an Octa-Core high-speed PowerVR SGX544 GPU for graphics performance. It sports a 1GB of DDR3 RAM and 16GB of flash memory drive. The tablet runs Android 5.1 Lollipop, which is expected to receive Android 6 Marshmallow. Apart from all the aforementioned specifications, it also packs in futuristic features and offers a battery backup of up to 6 hours on a single charge. All in all, the Dragon Touch X10 is the best 10-inch tablet under $100 price-range. 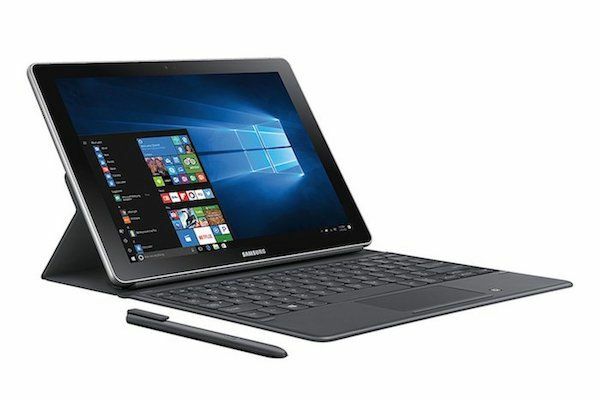 Before wrapping up this buying guide for best high-end 10-inch tablets, we would like to inform you that the Apple and Samsung are in tablet industry since very long and their tablets are aimed to provide the best user experience to their users. While, the Samsung Galaxy Book and Microsoft Surface Pro 4 are known for the best mixture of work and play. For budget buyers, the Samsung Galaxy Tab A, Lenovo Yoga Tab 4, Fire HD 10 and ASUS ZenPad 3S are the tablets to look forward. Select and Buy the tablet that meets your requirements and budget. Still can’t figure out? Have a look at our 8-inch tablet buying guide and let’s see if the small and compact design matches your style and budget or not! Sorry for the inconvenience caused. There might be a mistake by Amazon on that page. As per, GSM Arena, the Lenovo Tab 4 Plus 10″ comes only in two variants 16GB/3GB RAM or 64GB/4GB. Anyway, I think the Lenovo Tab 4 10″ Plus model ships with 2GB RAM/16GB in the US. You can check Lenovo’s official website for accurate information. Hello I am interested in the Fire HD 10 is it good for playing games? My Dad loves to play casino games is this what he needs or the Dragon better for this? The Fire HD 10 is one of the best tablets for media consumption, but when it comes to gaming I won’t recommend it because of the limited collection of apps & games in the Fire App Store. It should work fine if the game your dad plays is not graphics intensive and is available to download from the Store itself. Otherwise, not recommended.